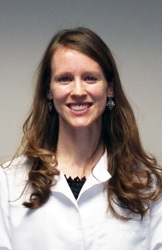 Lianna Stockeland, Certified Registered Nurse Practitioner, joined Maryland Primary Care Physicians, LLC in 2016. She received her Bachelor of Science in Nursing degree in 2004 from Maranatha Baptist Bible College and her Master of Science in Nursing degree from University of Minnesota in 2010. Ms. Stockeland is board certified by the American Association of Nurse Practitioners in Family Practice.